 This week in Machane Moshava, we had an exciting and meaningful last full week of camp. The week started leading up to Tisha B’av during which we discussed unity and disunity in Israel today. We spoke about the langauge of hate and violence surrounding the Rabin assassination in Shiur, in the lunch-skit and then devoted our night Tochnit to rectifying some of those issues with “compliment circles” and other engaging and community-building activities which promote positive interactions. On Erev Tisha B’av the chanichim learned more about Sinat Chinam as well as the halachot of Tisha B’av. As Tisha B’av set in the Machane, as a whole we took on the proper somber spirit of the day. We refrained from idle conversation, our tefillot moved from singing to chanting without tunes as we sat on the floor. After Maariv we marched by bunk from the Beit Yaakov Levi to the Indoor Beit Knesset carrying lanterns and candles as we sang Im Eshkachech. Eicha was beautifully read and accompanied by explanatory monologues given by various Roshim. As some of the chanichim headed to bed the night continued with an optional shira in the BYL by candlelight which drew a large crowd and included intense singing and powerful explanations and stories. As the shira waned the chanichim headed to bed while the M.I.Ts, Madrichim and members of Plugah had the opportunity to hear shiurim focused on the destruction, the kinot, and the meaning of Tisha B’av today. The morning of Tisha B’av continued with the intensity and power of the night before- Kinnot were presented in a powerful experiential manner in which the text of the Kinnot were weaved into plays and songs. As the day continued after chatzot the chanichim turned from mourning to proactive service as they made projects with tefillat haderech which will be delivered to members of the IDF. The day ended with the same power it had began with a meaningful shira in which songs of pain and loss transitioned in songs of redemption concluding with L’shana Ha’Bah B’Yerushalayim. The next day moved back into regular camp we were joined by a sofer, Rabbi Betzalel Shur who explained all about writing Sifrei Torah and the chanichim were able to fill in letters into the Torah dedicated to Rabbi Moshe Kushner. We continued with typically exciting peulot, leagues and at night the bunks were able to present fun and exciting bunk night final presentations. They danced, sang funny songs and performed witty skits. And as the chanichim went to sleep there was a Sha-aloha staff appreciation Hawaiian luau style BBQ and party. The excitement continued with Thursday’s trip to Mt. Olympus and Friday’s Peulot and League Playoffs. We are looking forward to an incredible final Shabbat here in machane.